Self Help Gurus Reveal The Truth About Belief! Self Help Gurus Reveal Insights Into The Game Of Life! Inspired by my inquiry into the teachings of several self help gurus, I’ll introduce shortcuts to understanding that can assist you with your exploration and journey into the game of life. Together, we’ll inquire more deeply into such subjects as: blame, governments, mind, awareness, ego, belief and reality creation. It’s important to have a clear definition of what I mean by the term self help gurus. While there are many definitions for the term or label guru, the sense in which I use guru is as someone who’s inquired deeply into the important issues of life, who has great knowledge and wisdom concerning life and living, a consciously aware person. You’d be wise to dismiss anyone who says that they have secret knowledge or they're some kind of spiritual authority, and as such you must or need to believe or follow them in order to get those so-called secrets. You have access to all knowledge and information simply by asking, there are no real secrets and absolutely no authority, period! The thing that, apparently, the mailers, posters and the forwarders don't seem to realize is that most governments are comprised of unbalanced people who operate primarily using their left brain. In other words, those officials are firm believers in the supremacy of intellect, reason and logic, but they give little thought to and thus they use very little of their right brain’s creative capacity. 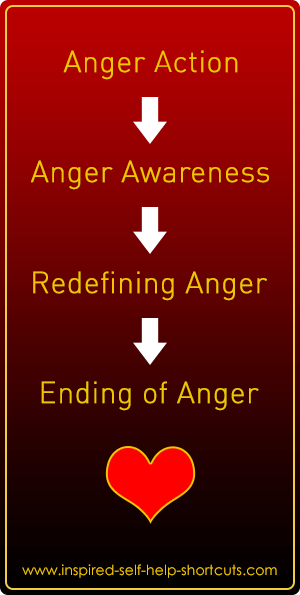 You can find more info on this self help websites page. If you need an example of this, watch a movie called "Garbage Warrior." It shows us how difficult it is to get new ideas introduced into legislation. The difficulty is not because all government officials are vindictively trying to stop new ideas, but mainly because they're so caught up in bureaucracy and details that they literally cannot see or comprehend new ideas and hence, they cannot allow for the possibility that those ideas actually make sense and might actually work. Furthermore, there’s no place for new ideas in government unless they fit into the well-honed existing system. So the artificial, human-made system, that's run by people who live within the rational confines of their self-created boxistential reality, now controls human society can you see the madness of it? the masses actually can overthrow it at any time, but they rarely do, why? If people are not happy with it, the masses can decide to vote for and elect a new style of government altogether, anytime they choose to, but they rarely do, why? Even when people know that governments are extremely corrupt, the masses rarely make a big enough noise or take action to oust or replace them, why? The answer is simple: any government is an expression of the people's will. If that were not so, government would not exist in the form that it does. In other words, we the people are the government and the government is us! It amazes me that this self-perpetuating blame game ignorance has been going on for so long. Isn't it time for us to snap out of this madness now? Do you even want to or are you quite happy playing the blame game? This guy's out of his mind and you’d be right. And the normal left-brained conditioned thinking calls that insanity. But actually: getting out of one's rational, logical and egotistical left-brained mind and venturing over to the creative right-brained mind side for a while is very revealing. I'm joking of course. However, once you’ve been over here for a while, you realize that an unbalanced left-brain controlled mind if left to its own devices ends up being destructive. There’s obviously no love because love only creates it doesn’t divide, conquer and destroy. So a balanced mind is a mind that’s become rational and then moved beyond rationality into harmony – a whole-brained being. If one is unaware of one’s ego and so hasn’t fully examined and understood it and thereby transcended it and integrated it, one's ego can be tricky to deal with. For instance, consider the action of a person who’s generally happy, but at the same time is unaware of the subtleties of the ego. They discover a new technique or a tool that advises them and instructs them on the powers of their mind. Being of a somewhat diligent nature, they study and learn all about the power of their mind and they really begin to understand the implications of it. Seeing some things that others don’t seem to see, they convince themselves and then begin to believe that everyone must start becoming aware of their own mind power. However, due to the undeniable fact that knowledge is expansive and thus, is always limited and incomplete, they unknowingly make faulty assumptions regarding other people. Their heart may be in the right place concerning this subject and they may genuinely want to help, but unfortunately their information and data is incomplete. And as is the nature of ego, it begins to take over their mind and their thinking process, rendering them out of control of their own mind and fully at the mercy of their ego. If any of the above section seems or feels familiar to you, please read the self help relationship page for more clarity. 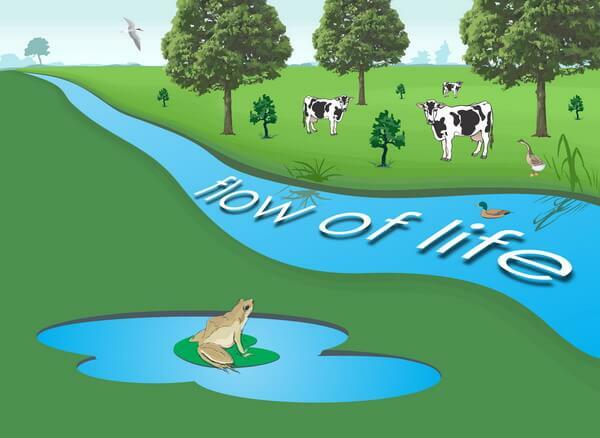 This image illustrates how the lonely frog in the pond is cut off from the flow of life. FYI: tricky monkey, the great trickster, false self and the lonely frog in the pond beside the stream are all variations of describing the ego. J. Krishnamurti, Deepak Chopra and Eckhart Tolle - all do a wonderful job of explaining the ego, so in that sense I call them self help gurus! Throughout this inspired self help website I continually remind you that we create our own experience of reality. I understand that some people can’t quite grasp the truth of what I’m saying and what hundreds of teachers, authors and self help gurus are disseminating through their work. Many people demand hard solid evidence and facts or proof before allowing themselves to be willing to consider or believe this insight. But what is proof? In my view, proof is something we believe in. Ultimately our beliefs provide all the truth we need. To understand this you have to remember that the very nature of belief is self-perpetuating and self-reinforcing, meaning that evidence to support our beliefs must show up in our life and when it does, we say: Yes, that’s true! After reading what I said above, I realized that I see it that way based on my belief in two concepts. First, scientists say that at the root of everything we discover vibrating energy. Second, the Buddha, many spiritual teachers and self help gurus say that all is illusion, so no thing is real. These days, both of these viewpoints seem rational and reasonable to me and that’s probably because they seem to add up to the same thing or nothing, if you will. So they fit with my overall belief system. Thus, if you’re skeptically open minded you can see that understanding anything really depends upon how you look at it. In other words, it’s a matter of perspective. But surely, if it’s a scientific fact then it must be true. 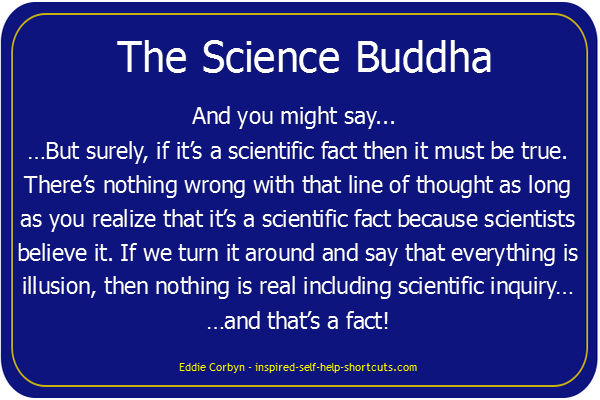 There’s nothing wrong with that line of thought as long as you realize that it’s a scientific fact because scientists believe it. If we turn it around and say that everything is illusion, then nothing is real including scientific inquiry and that’s a fact! Although knowing is more powerful than belief, before we can consciously arrive at the state of knowing, beyond belief, a thorough understanding of belief is helpful and usually necessary. Some people watched 'The Secret Movie,' believed it and had no resistance to the idea and so immediately started manifesting things. Others (like me) prefer to go deeper into the subject and examine the root of it. Inquiring into the root of the law of attraction leads you to vibration. Inquiring into the root of vibration leads you to energy. Scientifically, we know that the root of every thing is vibrating energy and that like energy attracts unto itself, but what’s the catalyst that causes the movement? As thinking entities we control our vibration and point of attraction by our beliefs, we cause the idea of movement in our physical external world by our internal beliefs. For instance: let’s say that you’ve heard about the law of attraction (LOA), but for whatever reasons you disbelieve it. Your disbelief can only serve to bring evidence that the LOA isn’t real and doesn’t work to you. Disbelief in one thing automatically means you believe in something else. A thing can only be true for us if we believe it to be so. Remember that disbelief in X is still belief in Y. And in a belief driven universe, belief is the underlying factor that determines the outcome of all of the realities we perceive! You’re the boss. 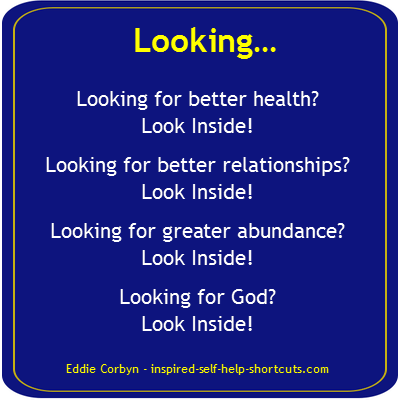 All true self help gurus will tell you that whatever you want you will receive, ask and it is given. But if you say that the LOA is not real, you’re right and your experience will be a reflection of that. But if you truly inquire and examine the root, you’ll see that the LOA is real. Then you’ll believe it 100% and you'll only need to work on your own resistance to allowing all things you’ve asked for to come through to you. The LOA Success section goes into great detail on the law of attraction. And once you’ve seen the evidence of the LOA working in your life, you’ll know beyond all belief and beyond all doubt that it’s real and it works. And once you absolutely know without a shadow of a doubt that because you create your own reality, you can have, be or do absolutely anything that you desire, then what more need is there for belief?